Although there are varying stories about the history of this house, what most people agree on is that there was an unforeseen death in the family that once lived here. Even though the house has been torn down, there have been reports of running water and lights turning on and off at this vacant lot on 45th Road. While driving by the lot at night, people have also claimed to see children that vanish in the headlights right before the car is about to hit them. The Albertson’s in Idaho Falls is no ordinary grocery store. According to Idaho Falls inhabitants, there is a ghost who wanders around the aisles in a checkered golf hat and brown trench coat. He often stares at the cashier when he or she is ringing up a customer but disappears into the back room when approached. The stories of Rose Hill Cemetery are perhaps the most famous ghost tales of Idaho Falls. Legend has it that if you knock on a particular above-ground grave, the corpse inside will knock back. There have also been reports that there are two tombs next two each other, one named Wear and one named Wolff. One of these graves is said to have a bite taken out of it from the werewolf that inhabits it. A little girl haunts this cemetery and has been seen climbing a nearby tree and waving to passersby. Some say that the girl is wearing a white dress while others claim she is wearing overalls. There have also been stories of handprints appearing on fogged car windows and a severe feeling of anxiety when entering the cemetery. If you have any ghost stories to share or haunted house suggestions feel free to call us at (877) 559-3833. 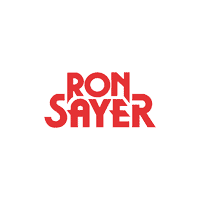 If you’re in need of a new Chrysler, Dodge, Jeep, or RAM before the Halloween holiday, check out our extensive online inventory or stop by Ron Sayer today!